I was in Colorado this last week for reviews at the University of Colorado at Boulder. While there I was able to see some cool sites, visit with some good friends and even experience some snow. Being as how highs were in the 90s in Texas when I left, the later item was quite remarkable. I went on a hike with my fellow HiWorks associate, Betsy Johnson, because apparently that's what people do for fun in Boulder. We walked up the foothills of the Flatirons and as we did we talked of many things. We talked about our work, our families and our ambition. We talked about Bjarke Ingels and weather or not we should/could be as successful/famous as he is at his age. It was during this conversation that we realized that we didn't exactly know weather Mr. Ingels was from The Netherlands, Denmark or Holland. We tried to figure this out without looking it up but we were unable to do so. We eventually resorted to Wikipedia and there was good reason for us to be confused. Denmark (where Bjarke Ingels is from) and The Netherlands (where fellow architect Rem Koolhaas is from) are both countries that border Germany; Denmark to the north and The Netherlands to the west. "Holland" actually refers to a region of The Netherlands but is often informally (if imprecisely) used to refer to all of The Netherlands just like people sometimes say "England" when they are actually talking about The United Kingdom. People from Denmark are Danes. People from The Netherlands are Dutch. This makes no sense whatsoever but is explained in this helpful and entertaining video. This public service message has been brought to you today by HiWorks. When I was in high school I dabbled a bit in theatre. I was an understudy for a play my sophomore year and had small character roles in the spring musicals (these roles, it should be noted, required me to neither sing nor dance). For something that I only did for a few years, the experience was highly influential. I've often said that even though I have not acted since I left high school, I perform every day. Now it turns out I can put that theatre experience to use in another way as well. A few months ago I mentioned that Betsy and I have been working on a project for theatre out in west Texas. Located quite literally “west of the Pecos”, Fort Stockton is a small community of about 8,000 people. Despite its size, the town has an active community theatre that for years has performed in a repurposed brick commercial building. 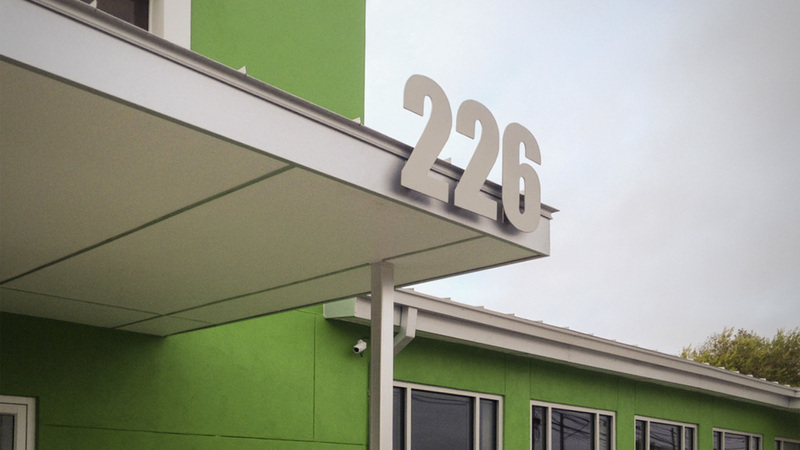 We were asked to assist the group in identifying their functional needs while developing a concept for how those needs could be addressed architecturally. We crafted a design that reused their existing structure while creating a new identity for the theatre that referenced both the existing downtown cityscape as well as the surrounding mesa landscape. 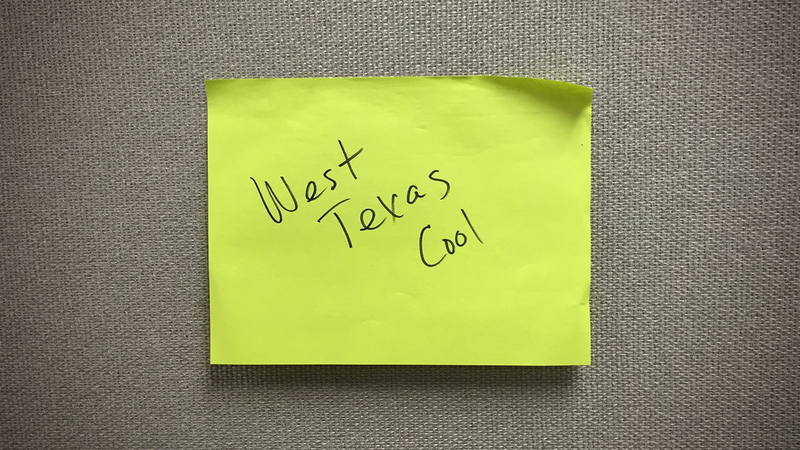 In one on the early meetings with community stakeholders we were asked to come up with something that was "West Texas Cool". We're excited by the fact that we were able to work with them to do just that. Work is finally wrapping up on the Ranch Dining Pavilion out in Real County. The project is coming together nicely and both Betsy and I are looking forward to sharing this - one of the first projects to come into the office - once it's completed. In the meantime, the last few details are coming into place including the transfer of some historic elements from the ranch. 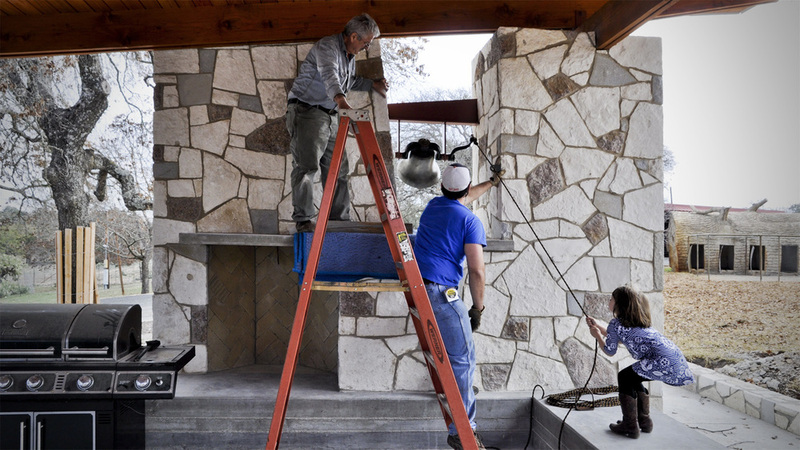 We worked closely with Max Patino to restore the old locomotive bell and employed my daughter as a dedicated bell tester since there is no more appropriate place for small children to play than an active construction site. ...something new and something green. So now that Betsy is up and running it made sense to order business cards. Of course, the fact that I am in San Antonio and she is in Dallas raised the question of which address should we put on her card. 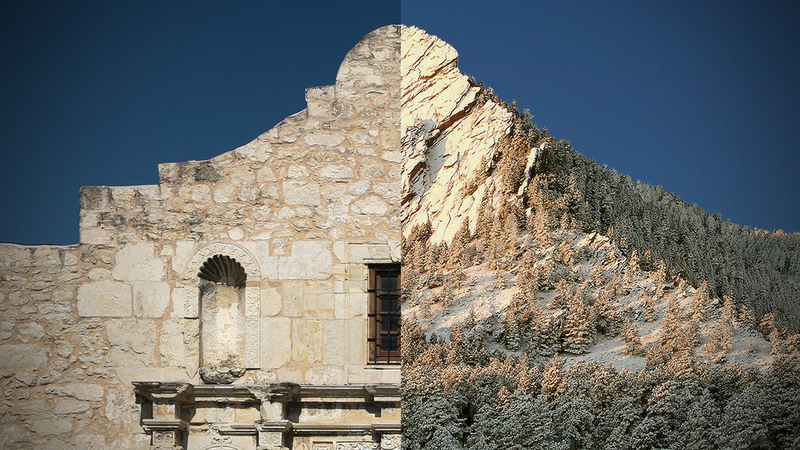 Dare we claim that HiWorks has both a San Antonio and a Dallas office? 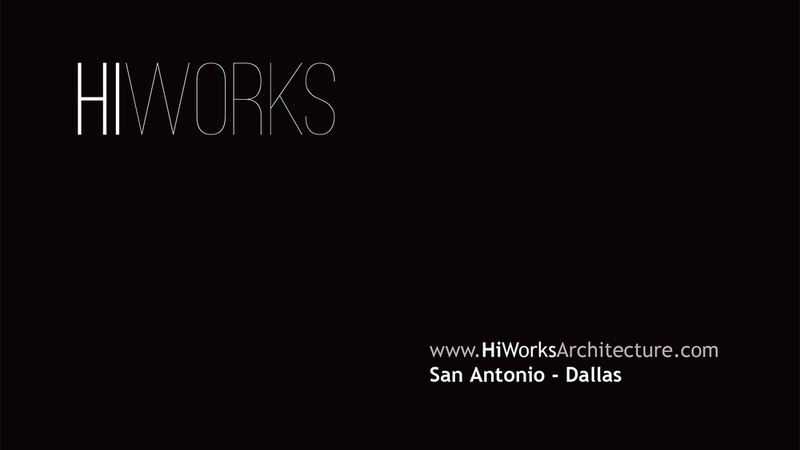 For most of 2013, "HiWorks" was really just me. Working as a sole proprietor was fun but the plan was always for the firm to be more than just an individual as there is a limit to the scale and ambition that a single architect can execute. Towards the end of the year things started to get uncomfortably busy and it became more and more apparent that HiWorks would need to grow in order to fulfill its potential. Betsy Johnson and I first met at Lake|Flato and all of that firm was heartbroken when she moved to Dallas a few years ago. It has always been my hope that we could find a way for the two of us to work together again. We have set up a remote working framework that will now allow that to happen. The expertise required to design a building is broad and Betsy's skill set represents an excellent complement to mine. 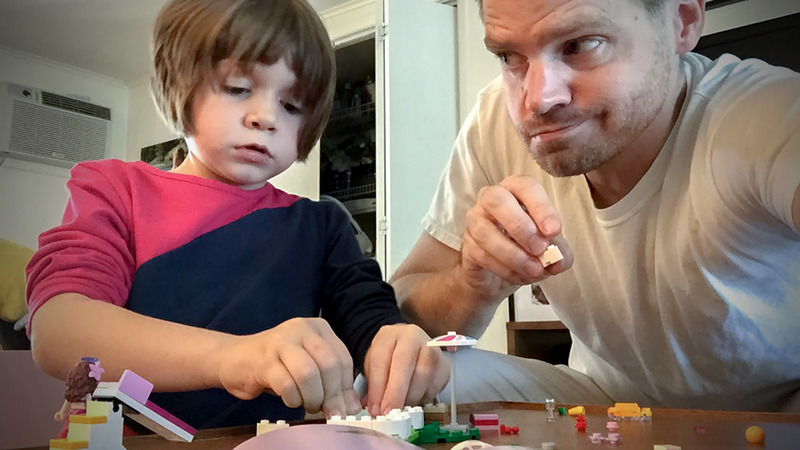 Like me, she is also trying to engineer a way to balance the opportunities and challenges of a career with the opportunities and challenges of being a parent of two young girls. 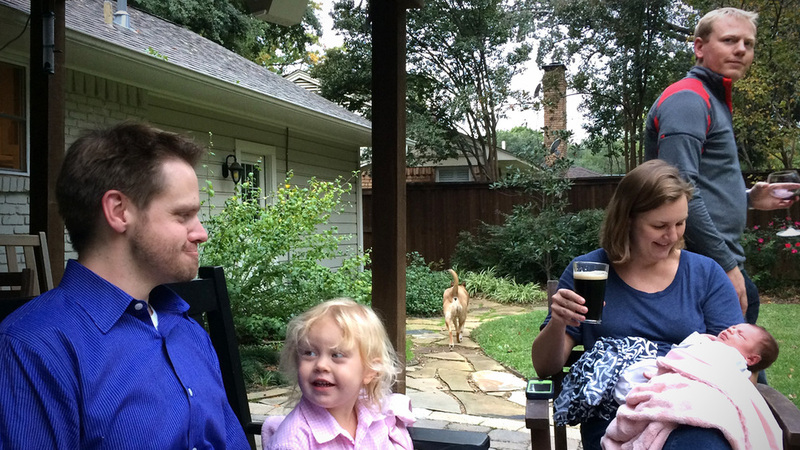 Raising two daughters, for the record, appears to be much harder than designing a building. At any rate, the above photo was taken back in November of last year and you can see Betsy's family including her husband, Luke (who is a Vice President of Corporate Development at CHRISTUS Health and who provided invaluable assistance in developing the business plan for HiWorks), and her second daughter (who was but a few weeks old at the time). Her first daughter, seated to the right of me, referred to me throughout the visit as "the man". Based on that observation, Betsy recently pointed out that she is now officially "working for the man". Although I would like to think she is working with the man, I realize the difference is mainly semantic.